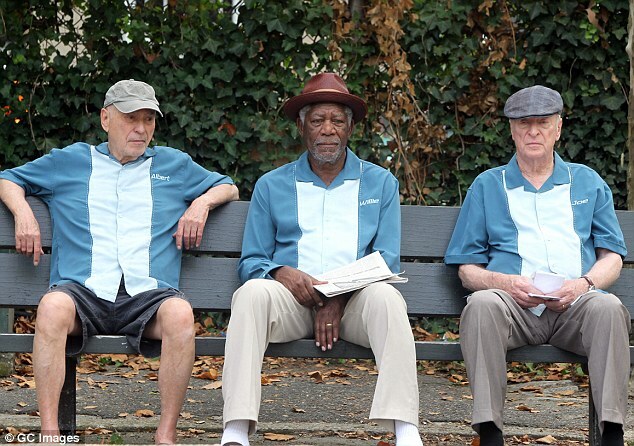 Going in Style, a remake of the 1979 film of the same name, struts out of the Warner Brothers’ catalog to fill theaters with laughter once again. 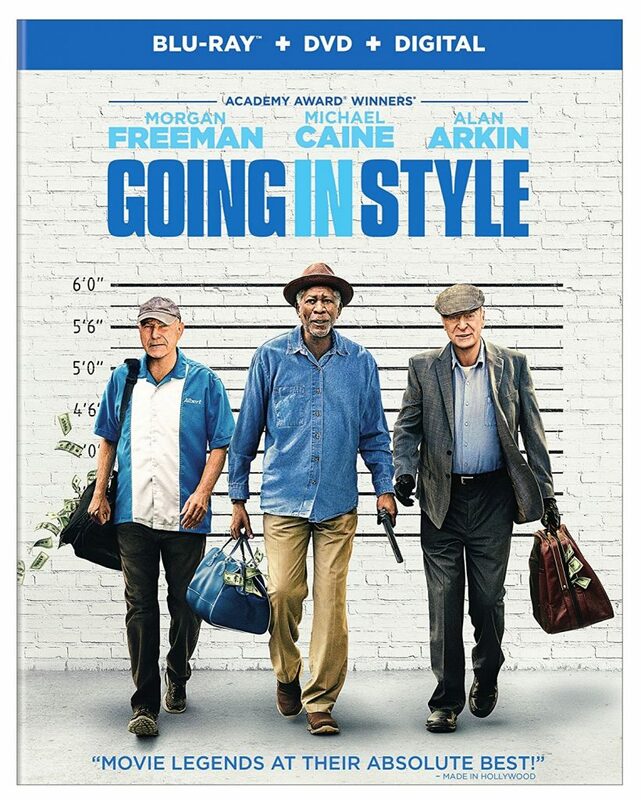 Joe (Michael Caine, formerly played by George Burns), Willie (Morgan Freeman, formerly Lee Strasberg), and Albert (Alan Arkin, formerly Art Carney) mix it up to form a hilariously bad trio bent on robbing the establishments that robbed them of their pension. For thirty plus years they worked for Wechsler Steel Company who suddenly relocates out of the country and dissolves their pension fund. Faced with foreclosure, a need for a kidney transplant, and the knowledge that they were robbed to pay their former employer’s utility bills drive Joe, Willie, and Al to rob WSB bank. For decades, these three men have made us laugh over and over again. This holds true in Going in Style. My favorite Caine film probably is still Miss Congeniality. I’m sure everyone enjoyed Austin Powers in Goldmember, Batman Begins series, and Journey 2: The Mysterious Island, too. Freeman time and time again delivers stellar performances in so many films, i.e. Robin Hood: Prince of Thieves, The Shawshank Redemption, Bruce Almighty series, and one of my faves, Se7en. Arkin was great in So I Married an Axe Murderer and Little Miss Sunshine. A nice surprise was Ann-Margret as Annie. Sassy as ever, she is always a joy to watch in films like in Scarlett and Any Given Sunday. Also, I’m growing to love John Ortiz as Jesus. He’s so varied in his types of roles. I enjoy seeing actors mix it up and avoid typecasting. I’ve seen Ortiz in the Fast & Furious series, Take the Lead, and Silver Linings Playbook. There were a few moments that didn’t play well (i.e. wheelchair lineup behavior), but overall everyone in the theater enjoyed Going in Style as much as I did. I could tell from the roaring laughter that accompanied most of the film as well as the boisterous clapping at its end. Also, the cutest little girl gets the spotlight and leaves a big impact. The cinematography is well balanced. Split screen shots and montages were used, but not excessively. Ever seen a person smuggle an entire pork loin out of a grocery store with their pants? A fun time all around. 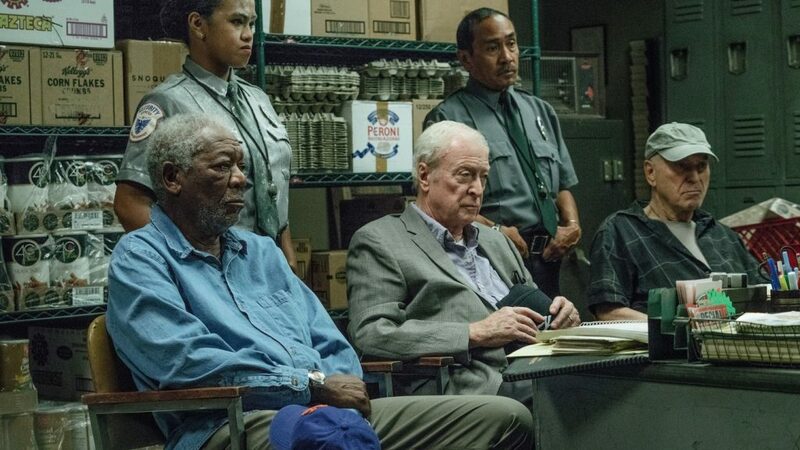 The Video: Going in Style comes with a 1080p HD transfer and is presented in 2.40:1 aspect ratio. The film was shot digitally and looks quite good. Detail is sharp and vivid and captures the big city life very well. The image is bright and boastful both in the exterior and interior scenes. Closeups reveal every mole and freckle on Morgan Freeman’s face and every individual hair on every actor’s head. Wider shots of the city show all of the great architecture in the city, while the character’s warmer homes show a lived in look without going soft. Colors pop, specifically in the exterior shots on sunny days with great primaries. Black levels are deep and inky with zero crush and skin tones are natural. There were no issues with any banding, aliasing, or video noise, leaving this video presentation with great marks. The Audio: This release comes with a lossless DTS-HD MA 5.1 mix and does a great job for being a comedy film with a lot of dialogue. There are some big moments in the track with gun shots that pack a punch with some great low end heft and bass, but it’s not constant. The reverb and echo of the gunshots and voices in the big bank buildings sound quite good though. Other ambient noises of vehicles passing by and other people talking are full. The score and music always adds to the entertainment value while not drowning out any other audio aspect. The dialogue is clear and easy to follow and free of any pops, cracks, hiss, and shrills. This is a solid audio track. Audio Commentary – Zach Braff delivers a fun commentary track that is full of information and a bit funny. He talks about casting the project, technical aspects of the film, and some of the difficulty in shooting some of the scene. Deleted Scenes (HD, 13 Mins.) – There are 11 scenes in total, all of which are worth watching, but add little to the overall story. 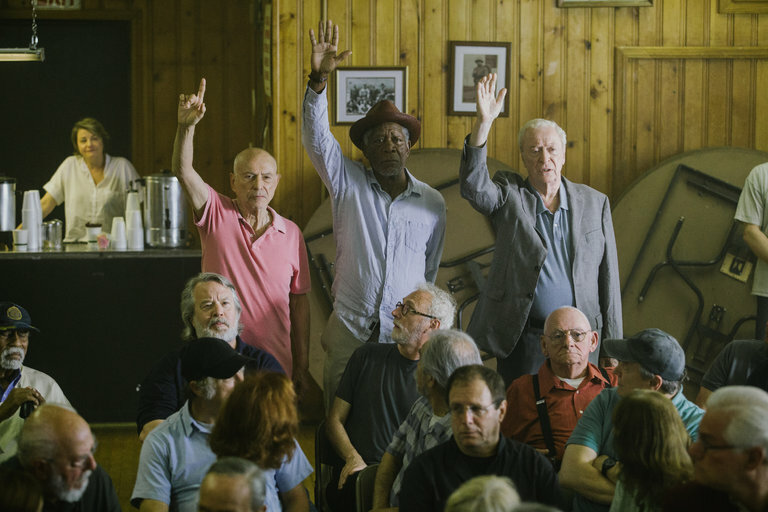 Going in Style is a fun remake that should satisfy your heart and make you laugh with these amazing actors. Braff does a great job in the director’s chair again and makes the film look beautiful and cohesive. I just don’t know how re-watchable this is, and it can get a bit preachy, but with good reason. The video and audio presentations are both great and there is a great commentary track here too. Just too bad there isn’t a making of featurette, because it would’ve been fun to see these three iconic actors tear it up on set. Film Review: ‘[Going in Style]’!! This entry was posted on Thursday, August 10th, 2017 at 4:21 pm	and is filed under Film, News. You can follow any responses to this entry through the RSS 2.0 feed. You can skip to the end and leave a response. Pinging is currently not allowed. « The Munsters are Getting a Reboot!